Our bodies are forever changing throughout our lives. Our eyes also change, but there are procedures to correct vision problems. If you have myopia, or nearsightedness, you are unable to focus on distant vision. Hyperopia, farsightedness, affects near vision and occasionally far vision. Astigmatism affects both near and far focus. LASIK surgery can correct vision. Your doctor may recommend you try glasses or contacts up to two years. The goal of the surgery is to change the shape of your cornea in order for you to see clearer and sharper. Most people are between 20 and 40 when LASIK surgery is performed. Those individuals younger than the twenties may not have completed eye changes. 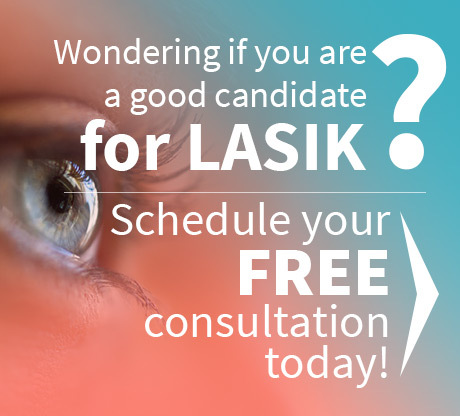 LASIK is not proposed for people under the age of eighteen. Undercorrections: If not enough tissue is removed from the cornea, you may have to engage in enhancement surgery to remove more tissue. Overcorrections: There is a possibility the laser will remove too much eye tissue. This is more difficult to repair. Vision returns to the before surgery level: Several instances can occur where your vision could change back to the way it was before, because of hormonal imbalances, pregnancy or a difficult wound healing. Vision loss: In extremely rare cases surgical complications can cause total vision loss or not being able to see as clearly or sharply as before. Astigmatism: If the laser does not remove the tissue evenly, either additional surgeries may be required or wearing contacts or glasses. Glare, night vision difficulties: This sometimes happens after LASIK surgery, where bright lights can have halos around them and it can be difficult to see without glare. You may be able to see perfectly in daylight, but find night vision to be a bit foggy. Dry eyes: For the first six months you may notice your eyes will be a little more dry during the healing phase. Your doctor may have you use eye drops to keep vision quality good. Dry eyes are uncomfortable and not conducive to healing. Flap problems: Complications can include too much tears, inflammation or infections under the cornea flap that was disturbed during surgery. Rheumatoid arthritis or other autoimmune disorders. HIV or medications associated with it. Unstable vision due to pregnancy, hormonal function, breast feeding or age. While LASIK surgery seems like a miracle to those who have regained perfect vision, it is not advised for people under 18 years of age. Usually it is more appropriate for someone in the range or twenty and beyond. One cannot be too old, either. However, as you have seen there are certain health issues preventing the surgery in some cases. These are rare instances and, despite the small risk, there are amazing things going on in the world of LASIK making the surgery safer and more effective every day. 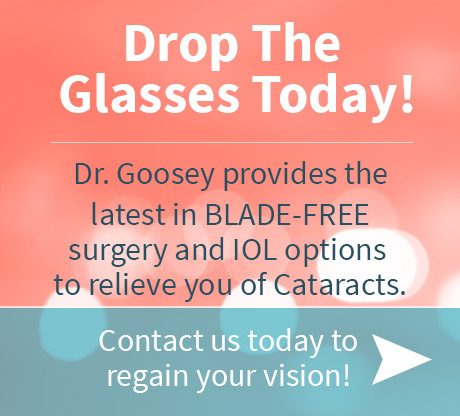 For one of the best LASIK doctors Houston, Texas, has to offer, contact the office of Dr. John Goosey today and schedule your free consultation.